Since the middle of December, I’ve been in Italy visiting the in-laws. We made a few little trips here and there for purposes of tourism, did a short tour of Emilia Romagna, enjoyed many delicious meals, and–of course–did some shopping during the Italian seasonal sales period. Additionally, we visited Florence as well, partly because it is a city filled with art, but also because my wife was working there during Pitti Uomo. During Pitti, I managed to make it into the Fortezza briefly, but I spent most of my time helping out with the Styleforum Maker Space. And I have to say it was a blast to hang out with so many charming people-while having bountiful aperitivi with decent wine, tasty mozzarella di bufala from Caserta, and salumi from the Tuscan countryside. The conversations ranged from materials and construction methods, to typical wines and dishes, to customer service and business practices. Unfortunately Winson shoes couldn’t attend because of visa issues, but the other artisans more than made the experience great. At the Styleforum Maker Space there were Salvatore from I Sarti Italiani, Marco from Belisario Camicie, Alya from a.b.k. leather goods, and Frank and Jen from GIIN. Everyone was quite friendly, knowledgeable about their respective crafts, and their products were all impressive. If you had visited, you would have found yourself talking to individuals who genuinely find joy in their professions and care deeply about their crafts. From each one, you would have learned little secrets, such as the differences between types of mother of pearl buttons and shells, or which sections of a shirt or jacket require hand stitching and which can be machine stitched. Over three days, talking with Frank and Jen from GIIN provided me with inspiration their passion and enthusiasm for their product, brand and work is enthralling. Frank is turning under garments on their head, making bonded products with a mix of long fiber cotton and polyester, blending the two together to create a fabric that exhibits the best of both worlds. He provided me with some to try, and I have to say that I am convinced (look forward to a review in the near future). On the other hand, the boutonnieres, the mainstay of their exhibition, were exquisite as always. Their display showed the materials at different steps, and they spoke with great respect about the Japanese artisan who created the process. These flowers were a hit with the Italians, who were shocked to see delicate flowers that were outside of the normal flow of time. The leather goods from a.b.k. were impressive, especially for those who have a more street wear or rustic aesthetic. I talked with Alya about saddle stitching and vegetable tanned leathers as she sat in the corner hand stitching a pair of shoes that were being custom made for a foreign client. Her leather goods exuded a sort of aesthetic that embodied her personality itself, a reserved but passionate spirit that cares about the quality of the goods and the materials. She told me a wonderful story about the leathers that she works with, most of which come from a small tannery in the south of France that is run by two elderly gentlemen, who have been processing hides for many years in natural and historical methods. Her work combines this historical artisanship for materials with handcrafted methods to craft pieces that would last for a long time, growing more beautiful as they develop patinas through use. I had used Belisario Camicie in the past to order online some shirts, and they came out well, so I decided to talk with Marco Belisario about modifying my shirts to the exact way that I wanted them. I ended up ordering a shirt with all my vezzi preferiti, including manica mappina and hand sewn buttons a giglio. I was amused that I had recently seen a friend of mine order a su misura shirt from another well-established shirt maker in Italy, only to have a fraction of the options and measurements taken in contrast to Belisario. Marco took a large number of measurements and some photos to create a paper pattern to compensate for my uneven shoulders and sleeve lengths, as well as for my watch on my wrist. He even consulted with the tailor from I Sarti Italiani to best determine how to address my bodies particularities. We discussed the size of armholes, and settled on a slimmer, high armhole as per my preferences. In addition, Marco allows you to choose which handsewn properties you want on the shirt, so I settled for what I most wanted aesthetically. They have a wide selection of different choices for collars (including one of the best one piece, open collars I’ve ever seen–they call it Ischia), buttons, and offer both fused and unfused cuffs and collars. Last-but not least-was Salvatore Ioco, a 29 year old tailor who has been a tailor for 15 years of his life, learning the tradition from his grandparents. Salvo, the representative of I Sarti Italiani, is incredibly friendly and jovial guy. Based in Palermo, the smaller company is a consortium of 12 tailors and 3 cutters, all of whom work together to realize the garments in the style that the client desires. They produce mostly canvassed garments, but will do minimal canvassing (no fusing) if you desire in order to get an even lighter, more relaxed and casual garment. Salvo brought a wide range of fabrics in his books, showing off both more luxurious fabrics as well as base ones, and we talked about my preferences. I will have him make me a garment, but I’ve yet to decide on a fabric; in the end he took my measurements, talked about my physical abnormalities and my stylistic preferences. I’ll figure out whether I want to do something from him that is Cut-Make-Trim, or rather a suit manufactured in house with him and the other tailors using fabrics to which they have access. Of course, I’ll have to return to Italy for a few basted fittings, once we figure out what direction I want to go. In the course of the three days, the various artisans had conversations among themselves, creating new dialogues; it comes as no surprise then that all the artisans shared a sort of mentality concerned with making durable goods. Even though reasons for making quality goods might have diverged slightly, they all overlapped in their pursuit of quality. GIIN seeks to preserve our resources by discouraging waste or using natural processes. Alya and a.b.k. is focused with maintaining a low environmental impact through sourcing environmental sound leathers (vegetable tanned), while also creating products that were useful. Belisario and I Sarti Italiani handcraft their clothing with rigor, in hopes of creating pieces that remain in your wardrobe for an extended time. This thoughtful mentality reminds us why craftsmanship and passion is still important today in a world overwhelmed with wasteful consumption. Day Two, because my trip didn’t start out that well. Of course I expected that everything would proceed swimmingly. I arrived at SFO well ahead of time, check-in was a breeze, and boarding went without a hitch. But then we waited. And waited…and after waiting on the runway in the plane for an hour, I asked the flight attendant what my options would be if I missed my connecting flight in Heathrow. “Well if we leave now, you won’t miss your flight, will you?” Her inane question was meant to end the conversation, and her Mary Poppins tone was meant to put me back in my seat rather than assuage my concerns. And yet I countered. “Well let’s just wait and see what the Captain says, OK?” It was clear she was both unable to and disinterested in helping me, and so with no alternative open, I returned to my seat and obediently waited. The captain announced the luggage placement left the plane imbalanced, so they would shuffle it around, redistribute the fuel, and we’d be off in no time…. 14 Hours later we landed. Then waited an hour in a queue to get set up in a hotel, another hour in a queue for passport check, and another hour to get shuttled to said hotel, where we were graciously comped dinner in the hotel’s buffet that offered gooey fish pie and wilted salad. Four hours later, I woke up to catch the shuttle to our rerouted flight, but not before grabbing the comped breakfast, which included a cardboard granola bar and cheese puffs. A day and a half late, I arrived in Milan. As an aside: if you’ve never been to Milan Central train station, you’re in for a treat. Not the busiest in terms of numbers, but arguably the most majestic. When arriving and disembarking, you can’t help but notice the steel and glass canopy as you turn around – the largest of its kind in Italy, enough for 18 tracks, and hundreds of feet long. Wander around, and you’ll find yourself awestruck at the massively high ceilings, capacious galleries, overbearing statues, and Nouveau-Roman architecture. Impressive, to say the least. So I had to take a picture. Guess who photobombed? Patrik started lurking in forum in the early 2000s after searching online for – you guessed it – shoes. Nowadays @Leaves is a forum regular, putting together MTO’s from international shoe makers and answering obscure questions from like-minded enthusiasts on the thread for his shop, Skoaktiebolaget. Don’t ask how to pronounce it. Finally I arrive at the StyleForum Maker Space at 3:30pm on day 2. Even before I enter the door, Fok grabs me. I protest that I have to pee. The appointment was supposed to last an hour, but one hour turned to two, then three, before making our way back to the Maker’s Space where Arianna was holding the fort. This January, at Pitti Uomo 93 in Florence, Italy, Styleforum will be hosting its inaugural Maker Space. The Styleforum Maker Space is an open space designed to exhibit the work of small brands and artisans interested in showing to both wholesale buyers and retail consumers. Click on the banner to visit the official page of the event and RSVP as a visitor. Alya began her career by taking classes in shoemaking, eventually finding a mentor in iconic sandal designer, Barbara Shaum. Inspired by her experience, Alya began making shoes on her own, recruiting occasional help from her sister Katya and teaching her the craft along the way. Word began to spread, orders for shoes began to increase, and the business was born. Their work has become known for impeccable craftsmanship, ex­panding well beyond shoes to leather items of all kinds, from the functional to the purely beautiful. Each piece starts with leather that is domestically sourced and tanned without chemicals. Katya and Alya hand-dye their own leather to achieve the exact color palette desired, then use alcohol water to saturate and stretch it before hand-stitching or stapling the pieces into place to dry. At the Styleforum Maker Space, you’ll be able to chat with Alya and see her at work. Click here to RSVP, and visit the Styleforum Maker Space Official Thread on the forum. What is the Styleforum Maker Space? This January, at Pitti Uomo 93 in Florence, Italy, Styleforum will be hosting its inaugural Maker Space. The Styleforum Maker Space is an open space designed to showcase the work of small brands and artisans interested in showing to both wholesale buyers and retail consumers. It is a combination pop-up shop and wholesale space, geared towards exhibiting fantastic small brands and makers to Pitti’s influential and knowledgable visitors. Many vendors, buyers, and visitors to Pitti Uomo are interested not just in wholesaling their wares or purchasing for stores, but also in taking the opportunity to shop for themselves. Our space offers small brands and makers a location in which to demonstrate their craft, showroom to wholesale customers, and sell immediately to attendees should they choose to do so. If you are attending Pitti Uomo, we invite you to visit the Styleforum Maker Space! We will be housed in a very large (260m2) apartment with a substantial space for greeting and showing to clients and influencers. The location in the heart of Florence offers both a central location and a comfortable counterpoint to the crowds of Pitti Uomo. January 9-11 2018, during Pitti Uomo 93. Any attendee invited by a vendor or carrying a Pitti Uomo badge will be welcome inside the Maker Space. For vendors, we offer a beautiful space in which to showcase your craft and goods for wholesale buyers and retail consumers alike. Coffee, aperitivo, and wine will be served. 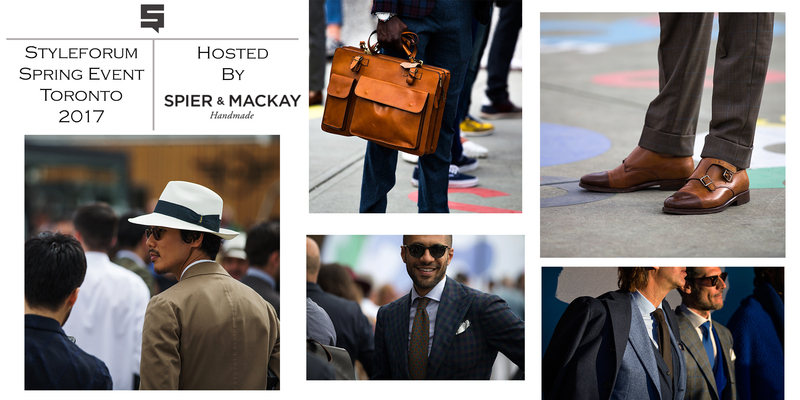 This Thursday, April 27th, Spier & MacKay will be hosting a Greater Toronto Styleforum meetup. This is a great opportunity for you to meet and banter with other Styleforum members and share your passion for clothes, shoes and accessories. This is a casual, drop-in event, so please take the time to come say hello! Our thanks to Hamza Khan (@casadisartoria), Ken Jim (@suitforcourt), and Spier & MacKay for organizing and hosting the event. To register and see the address and full details, please go to the dedicated event website here. The Proper Kit is live this Saturday, November 5th! We’ll be at Gary’s Loft in New York City from 10:30AM to 6:30 PM, showcasing 14 world-class vendors of fine men’s clothing, shoes, and accessories. We’ll also have a special IW Harper bourbon bar, where you can treat yourself to a tipple (or two – it’s a party, after all). Beyond the beautiful goods, you’ll have the opportunity to mingle with friends you haven’t made yet. This is a celebration of our shared passions, and it would be a shame not to share them in person. Plus, several of our vendors will be offering Proper Kit specials to all guests, so if there’s something that catches your eye – well, you know the drill. As sad as it makes us (and you), we know that some of our readers won’t be able to make it to the show. So, on Saturday, we’ll be doing our best to make sure you feel like you’re there in person. Follow along at The Proper Kit’s Facebook page and Instagram profile to see our “live streams” of the event. 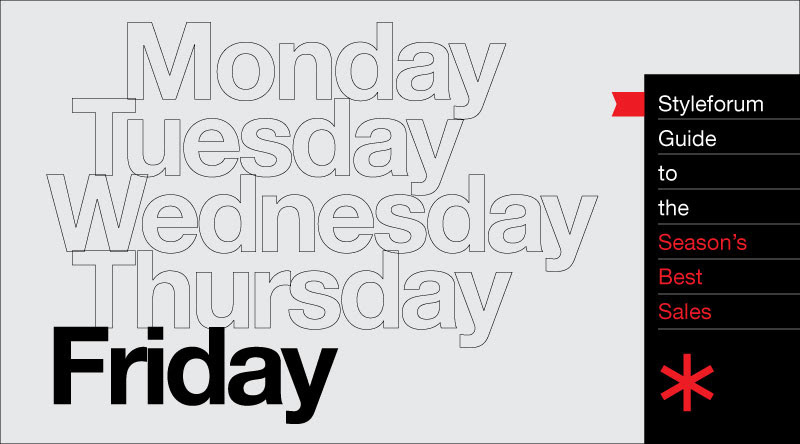 We’ll be posting photos and videos all day long, so you’ll be able to judge everyone’s outfits second-hand. Of course, we hope to see you there. If you haven’t, make sure you let us know you’re coming.